God of War is a game franchise based on a great warrior called Kratos, ho became a god in certain games and lost that status again in others. 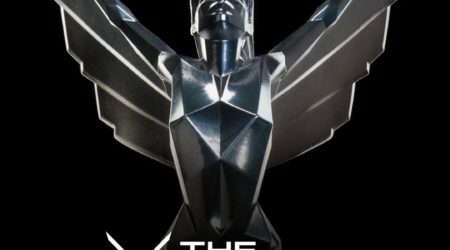 The games can only be played on Sony’s PlayStation consoles, and the latest installment, which is simply called God of War and comes with music composed by Bear McCreary, has just been released. 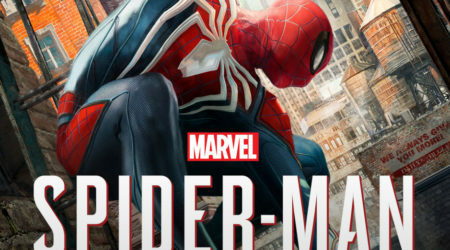 I recall watching a Sony press conference where McCreary conducted an orchestra playing his newly composed theme for the game. 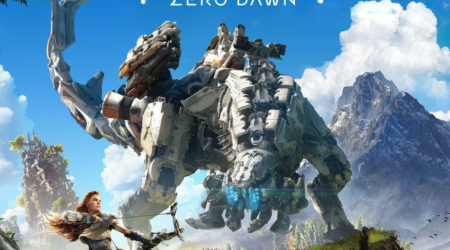 The music really impressed me, but after picking up this first piece of information I did not hear about the game for a while. Therefore, I was delighted, when I recently found out that this game will release on the date of this review. I do not own a PlayStation, but I am happy just to listen to the score. The album starts with “God of War,” which is the track performed at the press conference. The track is just magnificent, with the male bass singers from the choir having the main role with a very low chant and the rest of the choir and orchestra supporting them. Together they create a fantastic, epic piece – just what a warrior like Kratos needs. You can envision him walking around with his giant ax while this music is playing in the background. The next track “Memories of Mother” is completely different: It is lovely, emotional and sad, with a beautiful melody on violin and a beautiful female voice. The male singers return for “Lullaby of the Giants.” This time the tenor singers are also allowed to sing in the foreground of this wonderful and sad song. Halfway through the piece the women can also be heard singing the melody. In “Ashes” the beautiful theme from “Memories of Mother” returns, this time in the middle and being sung by a female vocalist, which makes its melody even more powerful and sadder than it was in the first place. “Helheim” is very eerie, because the choir is singing chants that make you feel very uncomfortable. In “The Summit” you can hear the choir and vocalist concluding the story of the game with their chants. These tracks are just some highlights from the album that stood out to me. But with that said, there are no bad tracks on this album and each one is a gem in its own right. 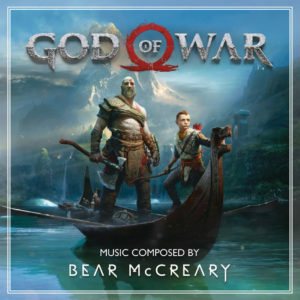 In many of them you can hear the God theme from “God of War” or the Mother theme from “Memories of Mother.” Most of the tracks feature the choir prominently, have beautiful violin play and there is even a notch to a hurdy-gurdy, a string instrument that McCreary likes a lot. What I found surprising was that there was not much percussion in the score. As can be heard in Battlestar Galactica and Black Sails McCreary loves percussion. However, in this score the percussion was only used in support of the other musicians, which allows the orchestra and the choir to receive ore attention. This score just blew me away. It is fantastic from start to finish. What is even better, is that it is well-suited to be played live as could be heard at the press conference. Game concerts are getting more popular and I really hope I will have the chance to experience this score live somewhere. If performed well by both choir and orchestra I am convinced that it will give me adrenaline rushes during the epic parts and will make me cry during the sad ones. Music for games has been getting better and better already, but Bear McCreary has just upped the ante with this one. Buy this soundtrack from iTunes or Amazon.com.